(Mostly) speculative fiction book reviews. I'd been keenly awaiting this book thanks to hearing snippets of it at a reading. Konstantin is a book inspired by a real historical character. It isn't quite a biography, but rather a novel that takes known data, and fleshes it out with plenty of imagination and details and narrative flair. Now, I am not entirely sure how much to give away of the historical role Konstantin would play. I realised near the end of the novel that I may have known far too much before I started reading it: I knew something about the nature of his work, I had heard a scene from the book (which, in the text, is actually about 80% into the book, i.e. rather close to its end), and I had assumed this would be a traditional biography, with a hefty focus on the man's achievements. It is not. It is the tale of a boy, growing up in Russia, and becoming an oddball young man. The narrative ends before his main body of work really starts - only a final chapter that is far removed in time from Konstantin tries (ineffectively) to give us a glimpse of the relevance of his work. We get (exciting) hints at embryonic ideas, but we never get the full picture. So, for the sake of this review, I will try to imagine that I knew nothing of Konstantin at all before reading the book. (Sorry for not using his surname - I really, really struggle with Russian names, and, at any rate, it is different in the book from the historical figure, presumably to indicate narrative freedoms that were taken). Konstantin is a boy with a huge imagination, and a fascination with technical things. Falling ill, he nearly dies and loses most of his hearing. As a result, he spends the rest of his life a bit removed, a bit of an outcast, a bit different from everybody else - and struggling to find his place. This is not a misery book - rather the opposite. Konstantin is full of infectious enthusiasm, permanently fascinated, and brave, even foolhardy. He can be headstrong (it is as if everyone else is not entirely sure what to do with him, but he somehow has a sense of his purpose, even if no one else can see it, and even if he cannot really put a name to it himself). He has that peculiar tunnel vision that great minds often have, where his imagination takes him away from the immediate surroundings. He is never boring. 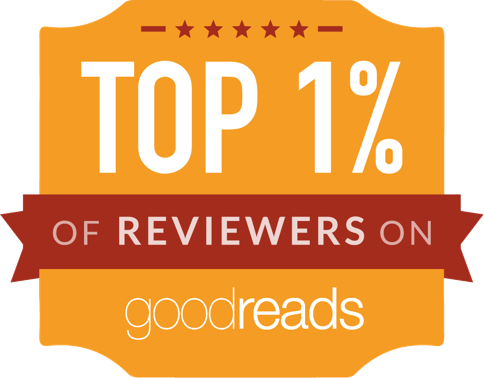 All that said, there are some areas where this particular reader felt a little let down: I felt a bit let down by the ending, partially because the book does not really show the lasting impact of Konstantin. Here is a man whose thinking was years, even decades ahead of his time, and yet, if all I had to go on was just this novel, I don't think I would have got a sense of the full scope of his genius. But to be fair, the novel consciously chooses to be about a boy growing into a man, rather than about a man growing into a shaper of history. The other main criticism is that, for me, the descriptions were a bit unbalanced: huge focus on details, but often revealing the bigger picture so slowly (or sparsely) that I felt a bit disoriented. It's as if the book had been written by a photographer with a macro lens, always a few centimetres away from Konstantin's hands, but rarely stepping back for a wide angle view. On the one hand, this may be authentically how human perception, deprived of one sense, works. On the other, it can be a bit confusing. Despite those minor niggles, I would heartily recommend this novel for its beautiful writing, its infectious energy, its loving portrait of a young person coming of age - it is a joy to read. But I would also recommend checking out Wikipedia after reading it, to find out a bit more about the historical Konstantin. PS: The working title of the novel was, apparently, 'Celestial Mechanics' - and many of the translations have chosen that title instead of Konstantin. Apparently, the publisher worried it might be mistaken for a textbook, so the title was changed. 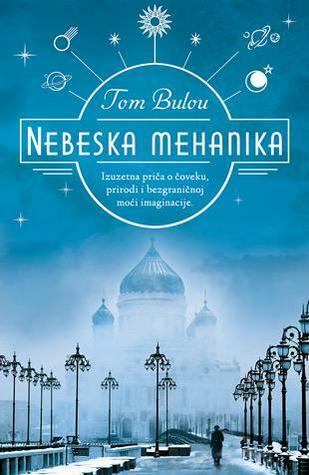 I must admit, I would have been more intrigued by the title 'Celestial Mechanics'... and much more intrigued by the Serbian cover (included above) than the UK covers. The BiblioSanctum | A Book Blog for Speculative Fiction, Graphic Novels… and more! EMILY ETERNAL by M.G. Wheaton. Good God! There's writing on both sides of that paper! The Black Feminist Geek Is Going On Hiatus!